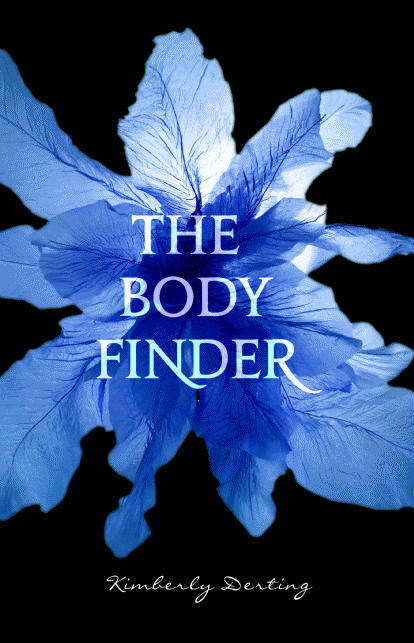 With a bold premise, The Body Finder held huge potential for me. I have to admit, however, it fell short in some ways compared to the hype, at least for me. This is a book I picked up for the supernatural aspect more so than to read a romance but I found it be far heavier on the latter than the former. A disappointment to my expectations is the primary reason this one is ranking lower for me although it did grab me from the start and the underlying thriller/mystery kept me turning the pages. Violet is an interesting character, holding many quirks that are both a product of and separate to her unique ability to see, hear, and taste the echo left behind after something living- human or animal- is cut down by another creature. Learning more about this ability held a huge amount of intrigue throughout the book. She is very likable and someone readers will quickly relate to, holding an endearing mix of strength and confusion. Her growing obsession with her best guy friend turned love interest, however, is a big part of what detracted for me on this book. Overall, I felt this book was more about her wanting to get together with Jay with the actual hunting down a serial killer and using her special ability as background and coming up when things couldn’t yet progress with Jay. I still enjoyed the book and certainly think it’s worth the read, with the disclaimer of it being more geared towards love than thrill. Jay is the perfect complement to Violet, an intriguing blend of overprotective and laid back and though some of his reactions seemed extreme to me, overall he is the guy any reader would root for in terms of winning Violet over. He is, under the right circumstances, caring and understanding and enough of a nice guy that readers are likely to swoon for him. Though I had a few personal setbacks with him, he is certainly a well developed character and Derting's vision for him came through clearly. The supernatural aspect of the plot was great- well thought out and holding many twists with the mystery of who it could be building throughout. Derting drops plenty of hints, some leading the reader to start thinking something else before she pulls them in another direction, never giving anything solid enough for either Violet, the authorities, or the reader to really pan anything out. Though there came a point where things became more predictable, that is purely through author’s disclosure rather than poor planning. Despite my qualms with it, the love aspect of the story was still enjoyable, giving this a two sided intrigue. The writing was smooth, giving Violet a strong voice and building the world fluidly without ever mind jumping or seeming to be Derting’s voice rather than the character’s. With a close bond to her family and an emphasis on her home life, this book pulls many strides together in a seamless fashion. Overall, The Body Finder is a book to read both for its romantic and supernatural aspects as well as the promise this debut author most certainly shows. I agree with what you're saying about Jay... I felt like their "romance" was rushed but I still enjoyed it overall...Him and Violet were cute :) However, I thought that Kimberly Derting nailed it when it came to the suspense. The twists and turns were awesome! I felt the same way about this book. I was hoping for more of a paranormal thriller than romance, but it was still enjoyable. I am trying to be a little more choosey for my YA books but this is one I want to read. I was hoping for more mystery also, hmmm hope I enjoy it. I'm sorry to hear that this book fell short for you. I've really been looking forward to reading it, and I'll be interested to see what I think of it. Thanks for the honest review! I have to completely agree with you that the writing is smooth. It was well written and kept me reading. And it's too bad you didn't enjoy it more, great review!